Raising Girls journeys into the heart of girls to help parents understand their daughter's different stages of development: what is normal, what is not, and how to relate effectively. Drawing on fifty-five years of combined counseling experience, the authors help parents call out the unique identity God has given their daughter. "My six-year-old fusses with her hair for hours. Is this normal? ""Yesterday my seventh grader was all sunshine. Today she's wearing black and won't leave her room. ""I'm worried my teenager may have an eating disorder. "In today's complex world, parenting a girl is harder than ever. It takes more than love. It takes insight into the things that make your daughter tick as she grows from childhood to young adulthood.Drawing on the authors' fifty-plus years of combined counseling experience, Raising Girls takes you inside the mind and soul of your girl. You'll obtain seasoned, expert insights on. Your daughter's different stages of development from ages zero to nineteen. How you can effectively relate to her at each stage. What is normal behavior, what isn't, and when and how to intervene. How to deal with self-destructive behavior such as eating disorders, cutting, or experimentation with alcohol. 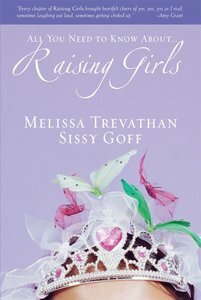 ... and much moreSpiced with stories, humor, and much reassurance, Raising Girls will help you encourage your daughter, challenge her, love her, and help her discover who God is creating her to be.